No. FIFTY CHEYNE offers a selection of private rooms & semi-private spaces each with their own ambience designed to be the perfect setting for your next event. From special anniversaries to wedding events or simply a great dinner party with friends choose from a selection of menus created by Head Chef Iain Smith. 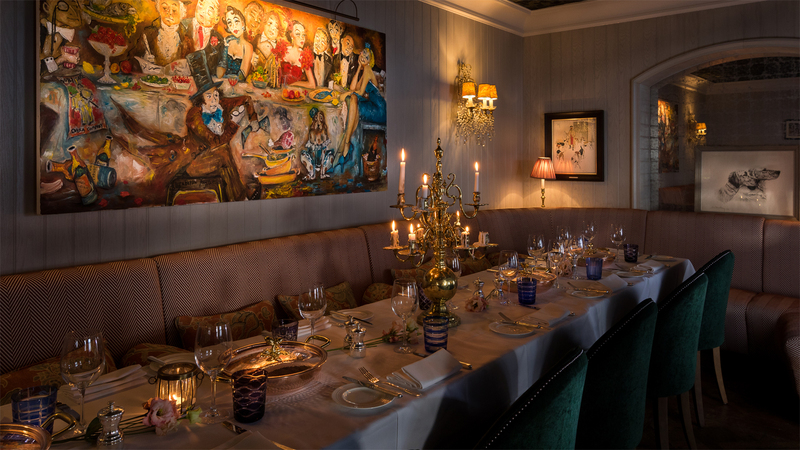 12 – 30 guests – seated on the ground floor in a semi-private dining area. Up to 60 guests – for canapés and cocktails, Upstairs at FIFTY. Up to 140 guests – full privatisation of No. FIFTY CHEYNE.